To make his debut album, In Times Like These, noted activist, author, documentary filmmaker and theologian Rev. Osagyefo Sekou went back to his Southern home searching for his family’s musical roots in the deep Arkansas blues and gospel traditions. Produced by six-time Grammy nominated Luther Dickinson of the North Mississippi Allstars, featuring Luther’s brother Cody Dickinson, and supported by Thirty Tigers, Rev. 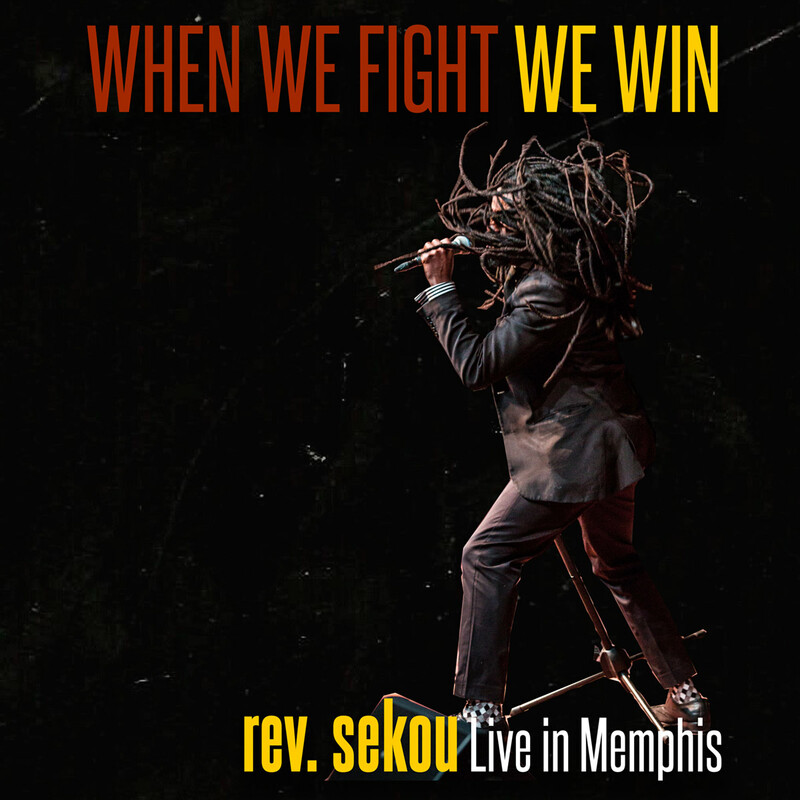 Sekou’s debut solo album is a new vision for what Southern blues can mean today. In Times Like These is drenched with the sweat and tears of the Mississippi River, the great tributary that ties so much of the South together. The album’s sonic landscape captures the toil of Southern field hands, the guttural cry of chain gangs, the vibrancy of contemporary street protest, backwoods juke joints, and shotgun churches—all saturated with Pentecostal sacred steel and soul legacy. On Jan. 31st, 2016, Rev. Sekou & the Holy Ghost released their debut album, “The Revolution HasCome”. AFROPUNK celebrates the album’s ”deep bone-marrow-level conviction”. The single, “We Comin'” was named the new anthem for the modern Civil Rights movement by the St. Louis Post-Dispatch. The sanctified blues of Rev. 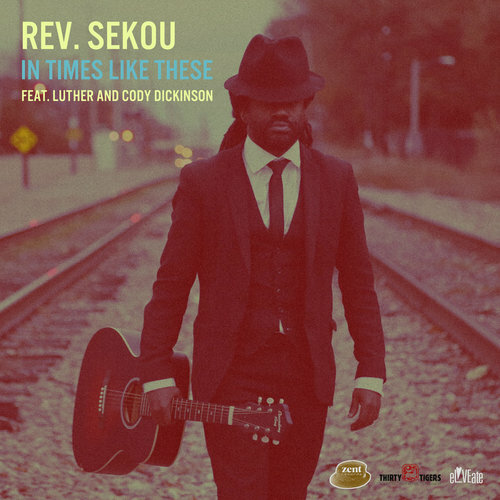 Sekou is an intense blend of late North Mississippi Hill Country Music, Arkansas Delta Blues, 1960s Rock and Roll, Memphis Soul, Chuck Berry St Louis vibes, and Pentecostal steel guitar. “Democracy and God have failed" captures the spirit of this provocative collection of essays. Arguing that religion must be used for the expansion of democracy, Sekou takes up gay marriage, economic justice, and social movements. Written in Parisian cafes, London’s ghettos, and the aftermath of Haiti’s earthquake and post-Katrina New Orleans, Gods, Gays, and Guns is a spiritual tour-de-force, revealing a crisis of faith in religion and democracy. Original published in 2001 urbansouls foreshadows the Ferguson uprising by offering keen insight on the social and cultural situation of the greater St. Louis region. Written while serving as a youth pastor and community center director in the late ‘90s, Sekou reads the religious sensibilities of hip hop as a meaning-making activity for those who have been alienated from society's traditional institutions such as the church.